iLights @ Marina Bay has been the night lighting arts festival in Singapore for the last few years, but this was the first time that we were going for the event! The festival was held around the CBD in Singapore, notably around the Marina Promenade and Esplanade. We had the company of Kit Yeng, who was last seen on our website celebrating Chinese New Year @ Chinese Gardens. It was certainly very interesting, although it was pretty crowded (as it was the last weekend when we attended); nevertheless, we sought to enjoy ourselves with a bout of night photography using the Fujifilm X-T10 and the Mint Instantflex! Ours truly captured beside Boat Quay! A radiant sunset to set the mood for the night at iLights! Capturing the iconic bumper boats as it passes underneath the oldest suspension bridge in Singapore, Cavenagh Bridge. Another iconic landmark, the Singapore Merlion (notable for being half lion, half fish) is swathed in different colours via projectors! As you can tell, it was really busy! “Ocean Pavillion”: these structures were made with Evian water bottles! “Northern Lights”: this installation was an attempt to imitate the aurora borealis found in the far ends of the Earth! “Home”: the structure of the house is ‘made’ using LED lights. A long-exposure shot to capture the crowds! “Horizontal Interferences”: these long multi-coloured rubber bands appeared like streams of lights under the powerful lights. Kit Yeng volunteered to be our ‘model’ as we captured people watching around her! Another long exposure shot of the famous “Meteorite” ride, where people stand around the fence of the ride and hold on for dear life as the structure spins and moves up! Capturing the “Meteorite” ride moving up and down made it look like a slinky! This amusing inflated dummy had people’s face projected on it, as seen here! There were also a section of the crowd enjoying drinks and food as a live rock band played on. It was a very long night as we proceeded to walk to the next section of the iLights festival; here, the Singapore Flyer and Helix Bridge was brightly lit from afar! Heart bokeh of the numerous background lights, made possible with the Mint InstantFlex! There was also a section for kids to play amongst giant inflatable structures! Even the iconic ArtScience Museum was lit up with graphics about the solar system! The trio after a long night out! You probably can’t tell, but we were really tired! Overall, it was a good amount of fun, exploring the various arts installations and deriving meaning and admiration from the structures! We certainly look forward to next year’s edition! 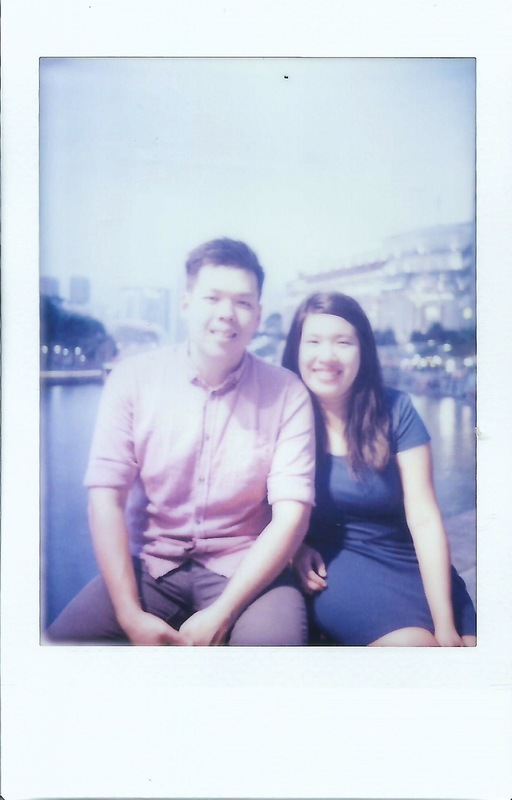 This entry was posted in Digital Photography, Fujifilm Instax Films. Bookmark the permalink.